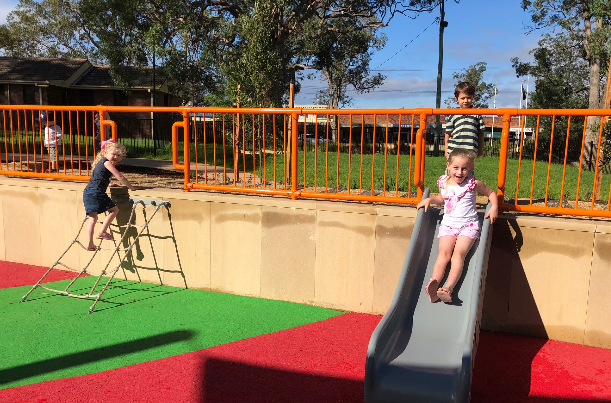 After months of anticipation, the new look Glenbrook Playground is open for families to enjoy. 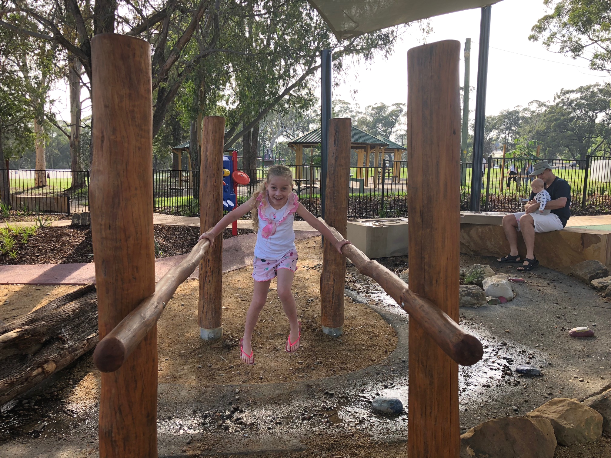 The playground has been under construction since late last year and has lots of fun new updates for the tribe to enjoy. 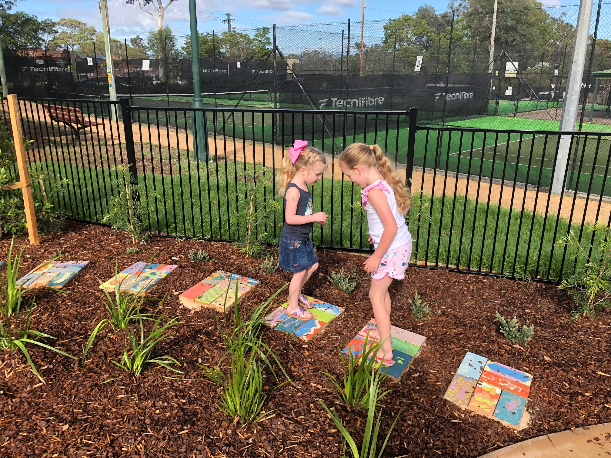 What’s new at Glenbrook Playground? What age group is it suited to? 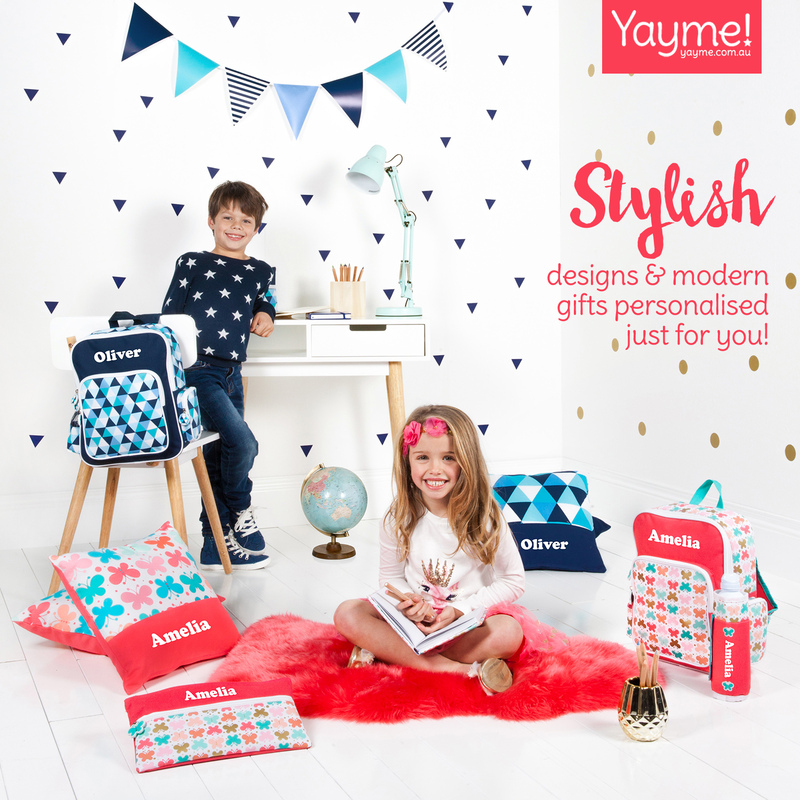 The new play area is best suited to younger tribe members, from 0-8 years. But older kids were enjoying playing with younger siblings and helping them to explore the playground. 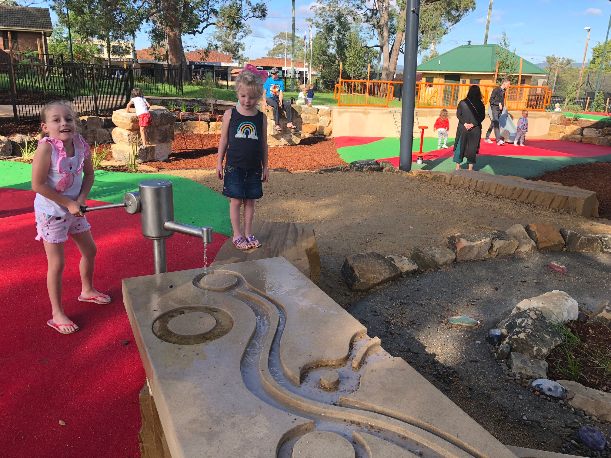 There is also a second playground geared at older kids walking distance from the new playground so don’t discount a visit altogether if your kids are on the older end. 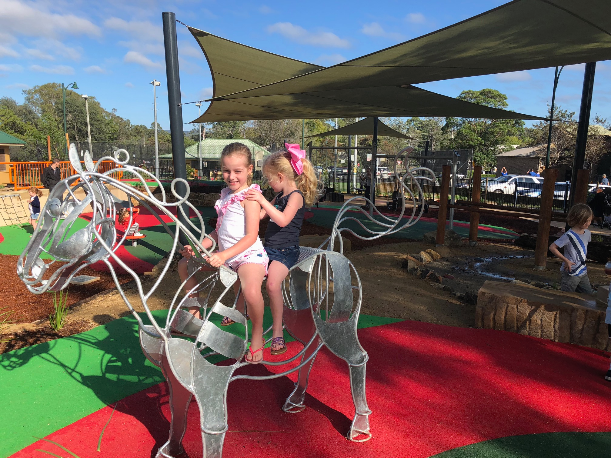 What else is there at Glenbrook Playground? There is a huge oval nearby which is a great place to put down a picnic rug or kick a soccer ball with the kids. There is also the second play area with monkey bars, chain balancing apparatus, chain ladders, fireman poles and more. There’s also gazebos with extra shade and picnic tables as well as a BBQ area if you’re thinking of having a party there. What can I do with the tribe in Glenbrook village? 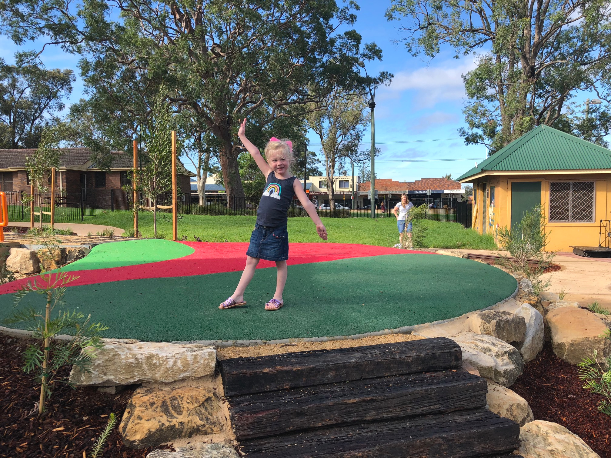 There are lots of excellent family friendly cafes and bakeries just a stone’s throw from Glenbrook Playground. Family favourite 2773 which has a cubby house and farm animals is a short walk from the park. Or try Kickaboom, Vincents or The Church for other tasty eats in the area. If you’re thinking of grabbing a meat pie though – head to The Bakehouse which is one of the Blue Mountain’s best kept secrets. 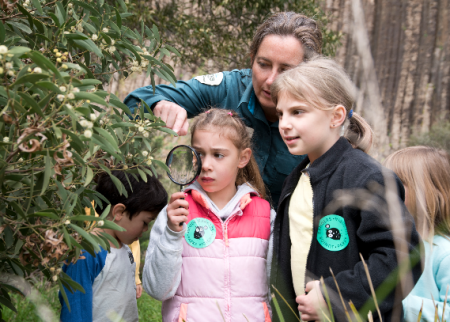 Looking for school holiday activities in the Blue Mountains? Look here.